Window>preferences>shortcuts. Click on window>preferences and then select “shortcuts” from the system preferences window. To the right, there will be a list of functions to choose from. Click +. When you have chosen a symbol, click “+” to assign it. If a letter or symbol is already being used, a window will pop up asking if you would like to reassign the symbol. If you would, select “yes.” If you would like to select a different symbol, select “no” and try a different one. Hit ok. When you successfully assign a symbol, you will notice the letter or symbol you chose now appears in the “assigned” box. Click “ok” to close the system preferences window and test out your new shortcut. Tools>section plane. If you hover over tools>section plane, you will see the symbol you assigned next to it. This is a quick way to see the assigned symbol in case you ever need a quick reminder of what you selected. Press /. Press “/” (or whatever symbol you assigned) and the section plane tool should automatically appear. 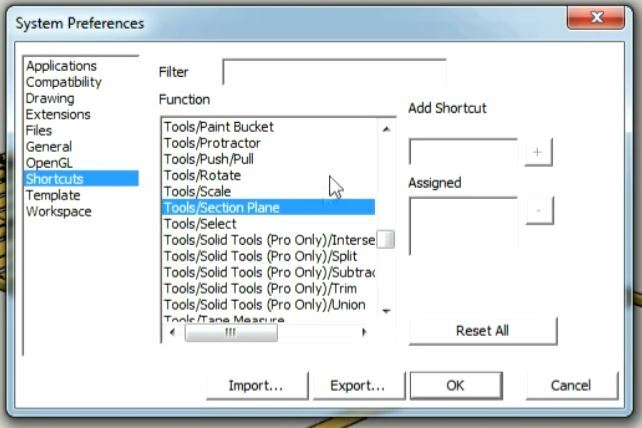 You can now quickly access the section plane tool with the press of a button! No more clicking a bunch of buttons to get to one tool. Yay! Follow these steps and you can create custom Sketchup shortcuts for any tool! As you can see in the video, this shortcut can be very helpful in making a quick animation, or you can use it to customize your work flow needs. You can even use the same steps to edit current shortcuts if you would like to select a different symbol that is easier for you to use or remember. 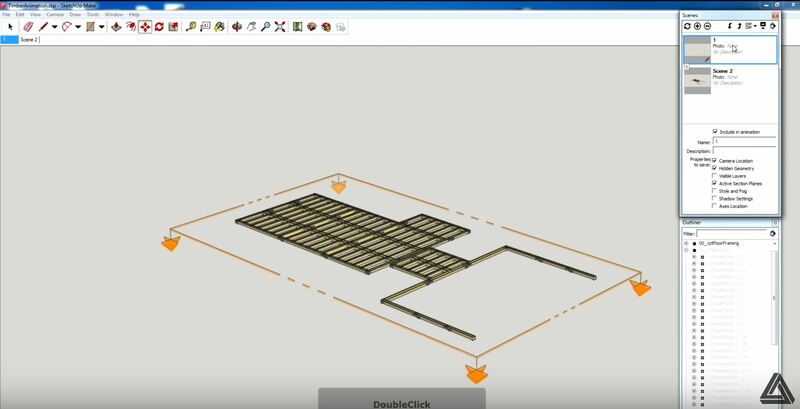 There are plenty of other tips and tricks you can use to speed up your work time in Sketchup. There may be things you don’t even realize are slowing you down, check out our advice on how to speed up Sketchup here. What Sketchup shortcuts do you use most often? What tool will you be making a shortcut for next? Let us know in the comments below!